William Hill operates more than 100 sportsbooks throughout Nevada. Most of the new sportsbooks on their roster have been expected. Last year they signed a deal to operate Golden Entertainment sportsbooks. Aquarius, Arizona Charlie’s (both), and the Stratosphere are all owned by Golden Entertainment. In addition to casino sportsbooks, William Hill already has sports wagering kiosks inside approximately 80 Golden Entertainment pubs and taverns around the state including all PT’s Pub locations. William Hill also signed a deal to operate Eldorado Resorts sportsbooks across the US. Montbleau and Eldorado in Reno are both owned by Eldorado Resorts casinos. 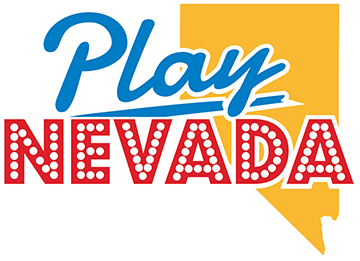 William Hill already operates sportsbooks at their Circus Circus, Silverado, and Tropicana Laughlin casinos. The surprise casino in the slew of approvals is Jerry’s Nugget. There will be one fewer independent sportsbook operator in Las Vegas when William Hill takes over sportsbook operations at Jerry’s Nugget. In fact, the deal with Golden Entertainment cuts the number of independently operated sportsbooks on the Vegas Strip by a third. The Stratosphere was one of three independent sportsbook operators on the Vegas Strip. When William Hill takes over the Stratosphere, Wynn (and Encore) and Treasure Island will be the only independent sportsbook operators remaining on the Vegas Strip. It’s becoming more difficult for sports bettors to find different odds and wagering opportunities. The majority of sportsbooks on the Vegas Strip are operated by two companies. MGM Resorts and Caesars Entertainment operate sportsbooks in 17 of 26 casinos. For the time being, William Hill operates 7 of 11 casinos in downtown Las Vegas. That number will decrease when the Stevens Group begins operations later this year. Around Las Vegas, Boyd Gaming operates sportsbooks in 10 casinos, while Station Casinos operates 18 properties in Las Vegas including Fiesta and Wildfire. Even though consolidation is creating large sportsbook operations, there are still a handful of independent sportsbook operators in Las Vegas. Sports bettors in Las Vegas can still find unique wagering opportunities at the following casinos. The European bookmaker expanded to the US when they acquired Lucky’s, Leroy’s, and Cal-Neva. They now operate more than 100 sportsbooks of all sizes and a mobile wagering app in Nevada. However, Nevada was just the beginning of expansion for William Hill. William Hill is the only sportsbook operator to operate in every state that offers legal sports betting. The partnerships with Eldorado and Golden Entertainment are just the beginning of William Hill’s expansion across the US.